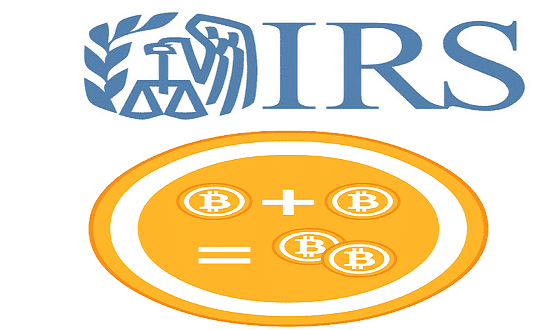 Bitcoin IRS – Some analysts are saying the Internal Revenue Service (IRS) delivered a crushing blow to the future of bitcoin when they decided to label it a property as opposed to currency. We, the bitcoin loving community always dispel negative rumors and false claims about the future of bitcoin. However, this fact does leave the future of bitcoin in jeopardy. The Internal Revenue Service may have just taken some of the fun out of Bitcoin. But that may mean that the virtual currency is growing up. The I.R.S. announced on Tuesday that it would treat Bitcoin, the computer-driven online money system, as property rather than currency for tax purposes, a move that forces users who have grown accustomed to operating under the government’s radar to deal with new tax issues and reporting requirements. While that may seem like an expensive headache, some financial experts view the move as a way to push Bitcoin further away from the fringes and into the mainstream financial system. The industry had been expecting the government to come out with some sort of guidance on Bitcoin, so the announcement on Tuesday did not come as much of a surprise. But some users worry that treating it as an investment could discourage the use of Bitcoin as a payment method. If a user buys a product or service with Bitcoin, for example, the I.R.S. will expect the individual to calculate the change in value from the date the user acquired Bitcoin to the date it was spent. That would give the person a basis to calculate the gains — or losses — on what the I.R.S. is now calling property. The I.R.S.’s decision would treat Bitcoin as property subject to capital gains taxes. Long-term capital gains taxes are capped at 20 percent, a more favorable rate than the top rate of 39.6 percent on federal income taxes. Individual traders in the currency markets — the British pound, for example — are expected to treat gains or losses as regular income for tax purposes. The I.R.S. now, however, says that these miners must report the fair market value of the virtual currency as part of their income. The new guidelines also mean that online exchanges that buy and sell Bitcoin will now have to provide customers with annual reports of their transactions, just as stock brokerages and other investment firms do. But some efforts may already be underway to ensure that the new reporting requirements will not discourage users from trading with Bitcoin. “I can assure you that there are a number of companies that have come up with software to automate this entire process,” Mr. Silbert said. The Bitcoin start-up Coinbase also said it supported the new guidelines. “Exciting to see clarity from the I.R.S. Coinbase will help both consumers and merchants to meet the guidelines,” the company said in a Twitter message. In the last year or two, however, the industry has attracted backing from venture capital and other investment firms who anticipate a wider adoption of virtual currency. But at the same time, regulators have become increasingly worried that online marketplaces could be used to facilitate drug deals and other illicit transactions. All that has put more pressure on governments around the world to figure out some way to regulate the industry. That pressure only increased last month with the collapse of one of Bitcoin’s largest virtual exchanges, Mt. Gox. The company filed for bankruptcy in Japan and the United States, leaving few options for users who had lost money with the exchange. Mt. Gox claimed to have lost nearly all its 850,000 coins, although it announced last week that it found about 200,000. The I.R.S.’s guidelines might mean that users in the United States who lost money could now treat that as a capital loss on their tax forms. Bitcoin has attracted many of its users precisely because it operated outside the established financial system and offered the promise of cheaper transactions. But many Bitcoin advocates and experts have said that regulation is necessary to make Bitcoin a viable currency. The few employers who pay in Bitcoin will have to report those wages just like any other payment made with property, and Bitcoin income will be subject to the normal federal income withholding and payroll taxes, the I.R.S. said. Shortly after the announcement, Senator Tom Carper, Democrat of Delaware, praised the agency’s decision. The guidance “provides clarity for taxpayers who want to ensure that they’re doing the right thing and playing by the rules when utilizing Bitcoin and other digital currencies,” he said.